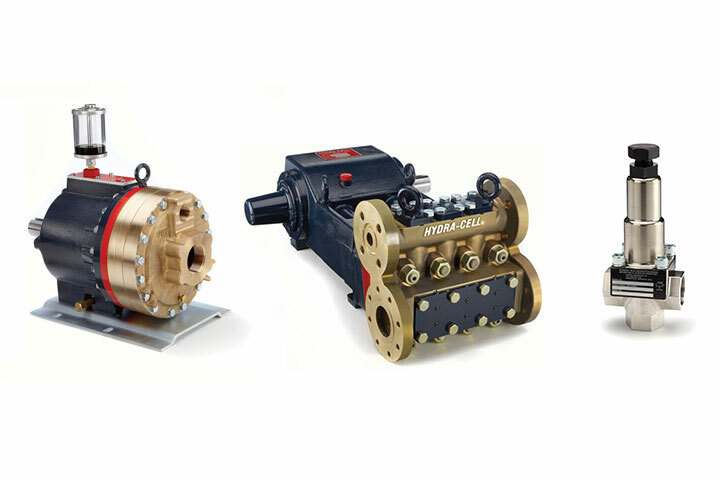 Hydra-Cell - BBC Pump and Equipment Company, Inc.
Hydra-Cell positive displacement pumps feature a seal-less pumping chamber and hydraulically-balanced diaphragm design, enabling the pumps to provide leak-free, low-maintenance performance while processing difficult fluids over a wide range of pressures and flows. Hydra-Cell pumps can run dry without damage and will handle abrasives and particulates (up to 500 microns) that can destroy other pumps. Multiple diaphragms minimize pulsations, so Hydra-Cell operates virtually pulse-free, often eliminating the need for expensive pulsation dampeners.